Manchester United manager Jose Mourinho has received an apology for the claim he should be jailed for his treatment of midfielder Bastian Schweinsteiger. 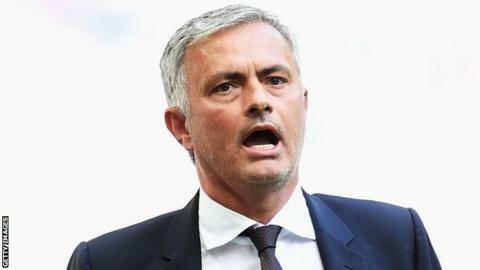 Slovenian world players' union member Dejan Stefanovic told the BBC that Mourinho was "bullying" the German, who has been told to find another club. The League Managers' Association said the comments were "totally inappropriate". It added Stefanovic "has apologised to Mr Mourinho". Schweinsteiger, 32, signed a three-year deal in 2015 and played 31 games last season but has trained alone or with the under-21s since Mourinho took over. There has been interest in him from both the Premier League and overseas. In his BBC interview, Stefanovic said: "It is clear bullying. In Slovenia, we would have indicted Mourinho and asked for the highest penalty - three years in prison." The LMA said he had been speaking "in a personal capacity" and not on behalf of Fifpro, the world players' union. It added: "Mr Stefanovic has stated that his comments appear to have been misinterpreted." Fifpro secretary general Theo van Seggelen and Professional Footballers' Association chief executive Gordon Taylor are believed to have worked hard to secure the apology from Stefanovic. Mourinho, meanwhile, is known to have spoken to Richard Bevan, the chief executive of the LMA, about the comments. Speaking last week, the Portuguese said: "What is happening is what is happening in every club in the world. The manager decides his squad and chooses a certain number of players to face the season."